Description: Recommended enhancement: Thief. Ninjas are hailed for their dexterity. Dragons are praised for their strength. And when the Ninja trains in the way of the Dragon, they shall become the Dragon Shinobi, master of brutal warfare! Description: A rapid attack studied only by a reclusive few. Damage dealt is based on weapon damage. Description: Throw a deadly shadow poison tipped kunai at your target. Shadow kunai will continually damage your opponent from a far, stacking 10 times and lasting 8 seconds if not restacked. You gain foresight with each throw, making all auto attacks within the next 5 seconds crit. Description: Focus all your chi into restoring your life force over time. Chi Heal lasts 4 seconds and cannot stack. As the chi flows through your veins you become rejuvenated and whole. Chi Heal also increases you Endurance by 50% for 14 seconds. Chi Heal cannot stack. Description: Meditate, transferring yourself in the shadow realm to restore your mana. While meditating you can't attack or use abilities and you will take up to 80% less damage for 5 seconds. Description: Increases haste by 10% and Damage over Time effects are 30% stronger. Description: Hit your opponent with a flaming strike for moderate damage to burn your target over time. Flaming Dragon doesn't stack and lasts 15 seconds. You get a stack of Shadow Kunai as well which deals damage over time, stacks 10 times and lasts 8 seconds if not restacked. This attack applies Spinning Dragon which reduces your target's next hit to 0 damage. Description: Gives a small chance per attack to gain the power of the Shadow Dragon increasing the power of all Damage Over Time effects by 400% for 20 seconds. Description: Throw a deadly shadow poison tipped kunai at your target. Shadow kunai will continually damage your opponent from a far. Each throw not only increases the shadow poison's damage, but also has a small chance to apply Spinning Dragon to reduce your target's next hit to 0 damage. Note: Stacks up to 60. Description: Focus all your chi into restoring your life force. Description: Meditate, transferring yourself in the shadow realm to restore your mana. While meditating you cannot attack for 7 seconds and all attacks against you will deal greatly reduced damage. 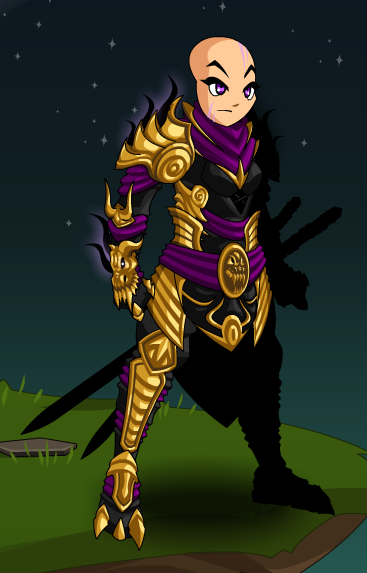 Note: Applies Shadow Soul to yourself to reduce all incoming damage by 90% for the duration. Description: Increases endurance by 18%. Description: Hit your opponent with a flaming strike for moderate damage to burn your target over time. This attack has a chance to apply Spinning Dragon to reduce your target's next hit to 0 damage. Note: DoT lasts 16 seconds. Ravamped Class breakdown Design Notes post. Shinobi (忍び) means "to conceal oneself" in Japanese. Glow and facial markings are Color Custom to Accessory Color. 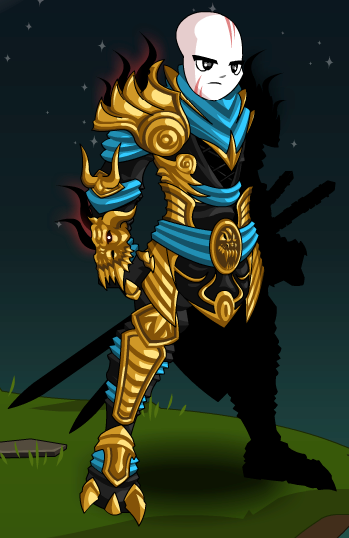 This class has the same skills as Dragon Shinobi (AC).